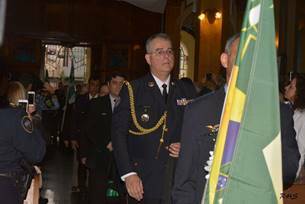 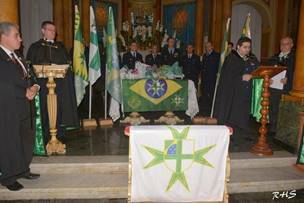 The Grand Priory of Brazil, with its very active Commanderies under the able and watchful eye of the Brazilian Grand Prior, the Chevalier Roberto Ortiz KCLJ, organised a magnificent and solemn investiture on the 19th of August 2017. 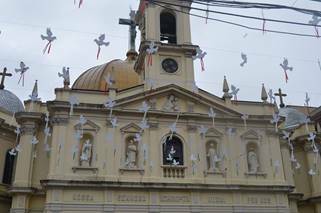 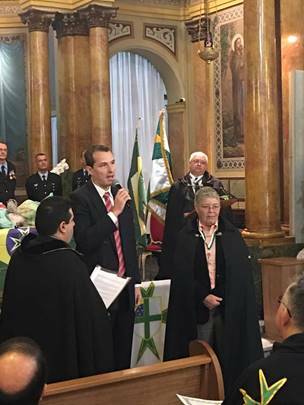 The investiture ceremony was conducted at the Parish of Our Lady Achiropita in Sao Paulo, with this beautiful church, built in 1926, witnessing an impressive congregation for the event. 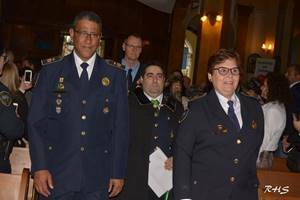 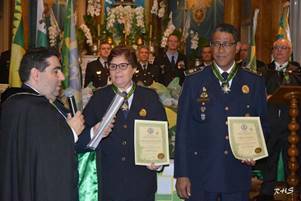 The investiture ceremony was duly conducted and blended with the musical pieces made specifically for the occasion by the band of the Metropolitan Civil Guard of Sao Paulo. 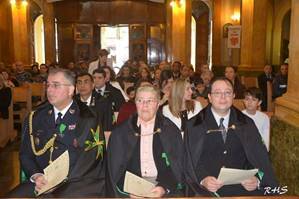 The latter public officers came in droves for the investiture, a very positive sign appreciated by all since it further cements the synergy and harmony of joint initiatives between our organisation and the Civil Guard. 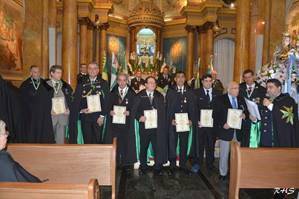 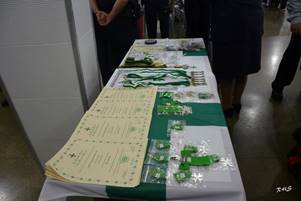 A number of active officers of the Grand Priories were awarded promotions and thanksgiving mementos in their year-long voluntary work ensuring that this Grand Priory is indeed the most active Hospitaller operation in South America. 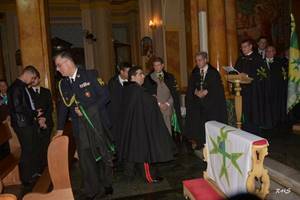 A number of postulants also joined the Order and its various NGO units, ensuring continuity of Hospitaller work and future leadership material and continuity. 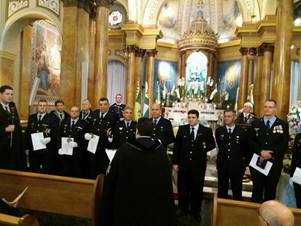 A number of sister and fraternal organisations in the philanthropic, humanitarian, charitable and humanistic spheres were also present for the investiture. 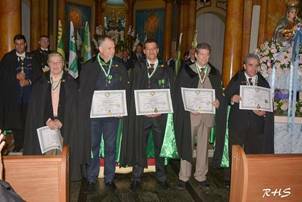 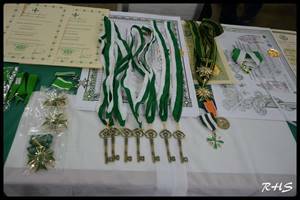 The investiture included a number of highlights, with the Grand Priory proclaiming the receipt of a number of honorary associations and memberships within august national and international entities. 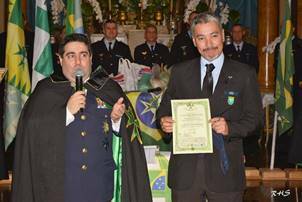 It also included the proclamation by the Supreme Grand Priory of the Order that the Brazilian Grand Priory, the Chevalier Roberto Ortiz, has been promoted to Knight Commander of Grace of the Order in recognition of the sterling leadership work committed by him and his formidable team of officers. 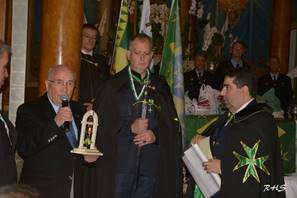 Immediately after the investiture, the Grand Priory also donated a substantial amount of foodstuff and other alimentary products for use within the same Parish.